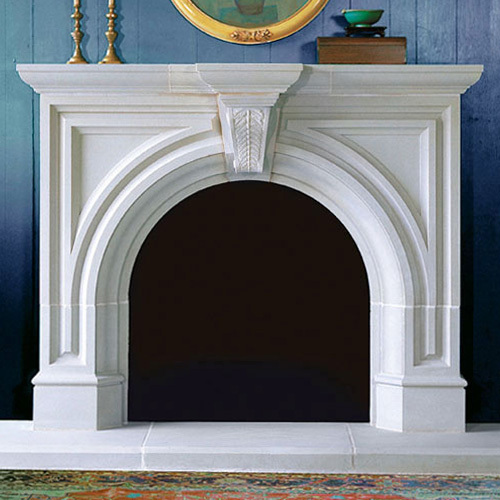 In a line of truly stellar mantles, our Rothton cast stone fireplace is a standout favorite. Anchor your room with the rounded arch, clean lines and ornate charm of this stunning focal point. It’s the perfect blend and effortless fusion of old and new. Luxuriously classic and traditionally beautiful, you’ll take your living space to new heights with this one simple addition. Click through our roster of alternate images for a dimension diagram and additional ideas.